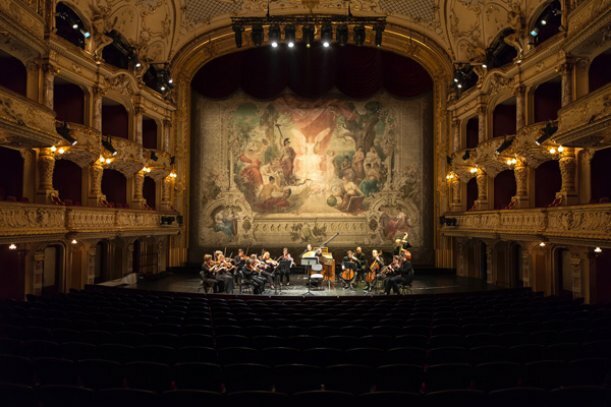 The cultivation of the historical performance practice has been a tradition at the Opera House Zurich since the performance of the Monteverdi Cycle in the seventies. 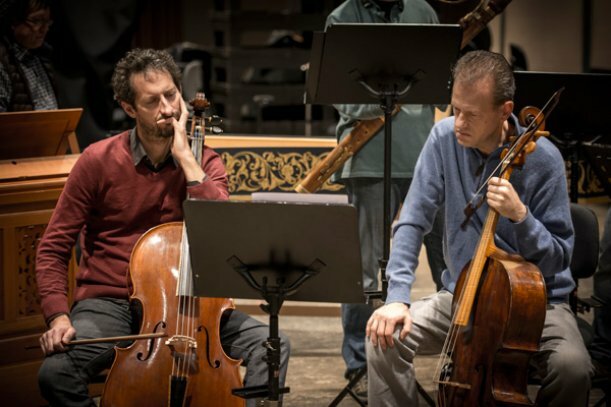 During the following series of Mozart operas, which were directed by Harnoncourt and Ponnelle, further pioneering work was accomplished and the musicians altered their playing techniques according to the latest research on historical performance practices. 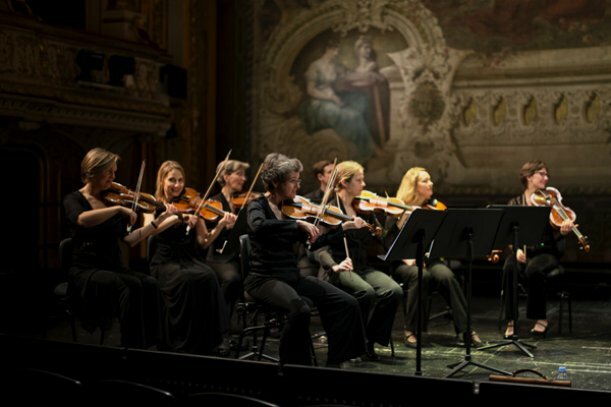 In 1998 an independent ensemble was formed by first-class specialized musicians of the Zurich Opera Orchestra and soon obtained an excellent reputation. 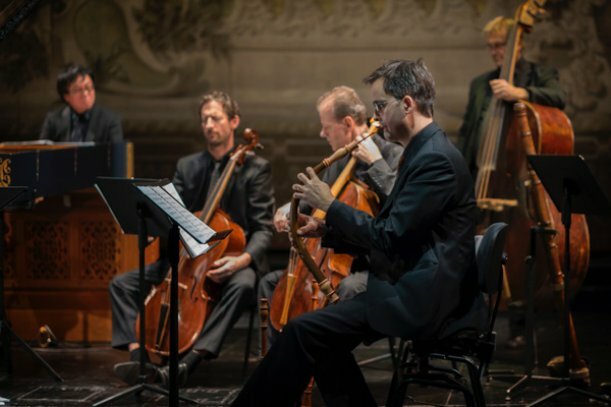 The spark that ignited the enthusiasm for new “old music” gave its name to the ensemble: "La Scintilla" – The Spark. Performances with eminent authorities in the field such as Nikolaus Harnoncourt, William Christie, Mark Minkowski, Reinhard Goebel and Giuliano Carmignola were so successful that the Opera House Zürich had and still has this ensemble perform all baroque operas and nearly all operas of the classical period. 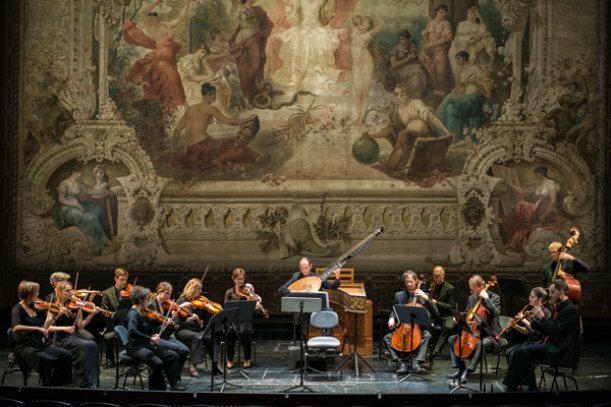 "La Scintilla" performs regularly in the world's most prestigious concert halls, together with renowned soloists, instrumentalists and singers such as Cecilia Bartoli, Rolando Villazon and Andreas Scholl. 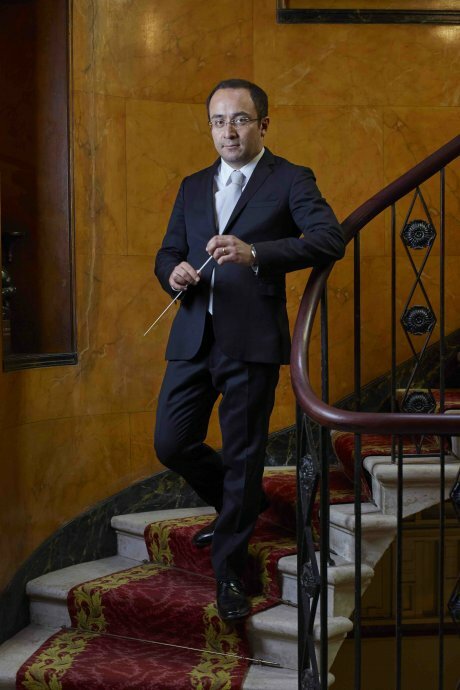 The Orchestra won the german "Echo Klassik 2014 Musikpreis" in the category "Opera Recording of the Year" (19th century opera) for its recording of "Norma" with Giovanni Antonini and Cecilia Bartoli. 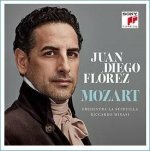 Riccardo Minasi dirigiert unbekannte und zum Teil unveröffentlichte Arien von Georg Friedrich Händel, u.a. 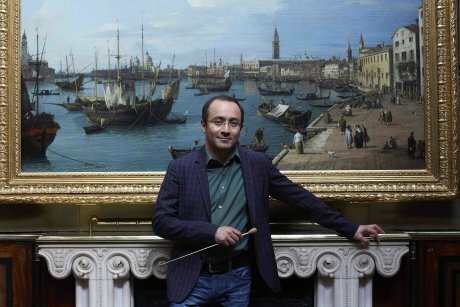 aus «Ezio», «Lotario» und «Il duello amoroso». Zudem erklingt das «Concerto a Quattro», rekonstruiert von Riccardo Minasi. 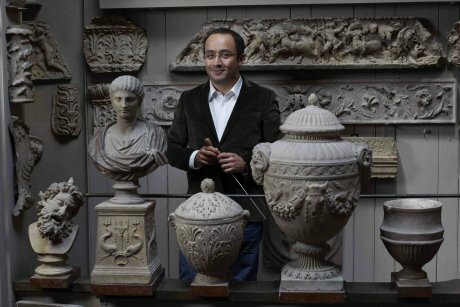 Eine frühsinfonische Reise durch Italien von Rom nach Florenz, Bergamo, Neapel, Bologna und schliesslich Venedig mit Kompositionen von Arcangelo Corelli, Giovanni Battista Pergolesi, Antonio Vivaldi, Giovanni Mossi, Pietro Antonio Locatelli, Giuseppe Antonio Brescianello u.a. Ein Giro d’Italia! "YET CAN I HEAR THAT DULCET LAY"
"DIE ENTFÜHRUNG AUS DEM SERAIL"
... 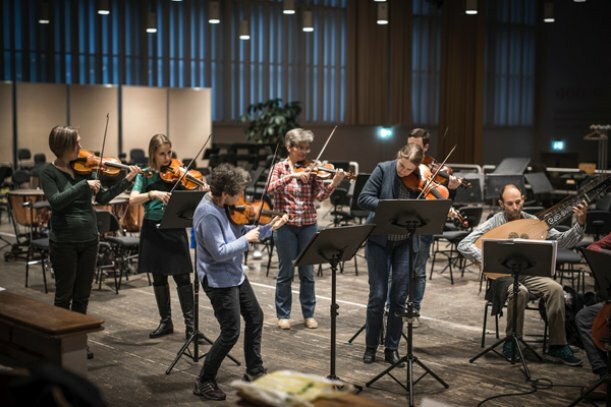 Die Begleitung des in Zürich beheimateten Kammerorchesters La Scintilla ist ein Genuss für sich. 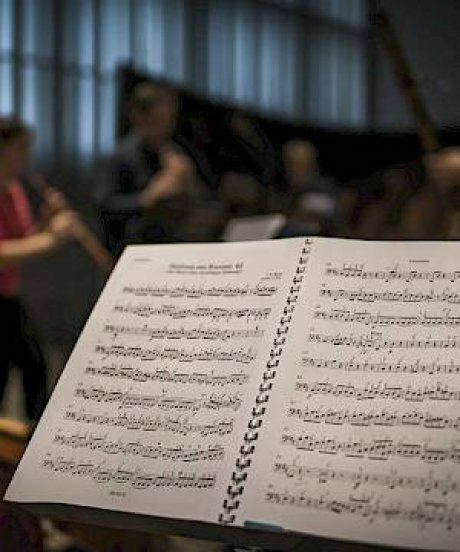 Unter der gestaltenden Leitung ihrer Konzertmeisterin Ada Pesch füllen die Musiker mit delikatem Klang das grosse Konzertrund. 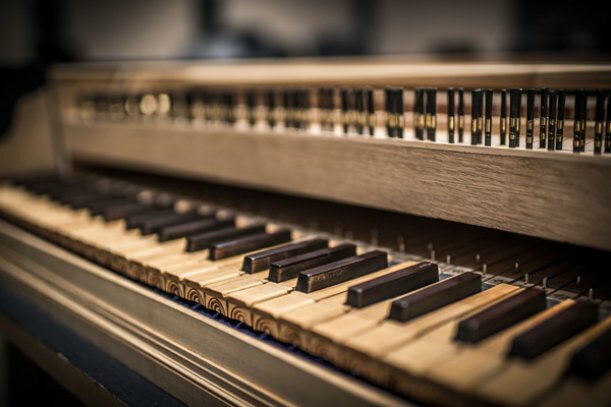 Auf historischen Instrumenten und das Vibrato als seltene Verzierung einsetzend, geben sie der Solistin Stütze und Freiraum. Trotz der geografischen Nähe war es erstaunlicherweise der erste Auftritt dieses harmonierenden Ensembles am Lucerne Festival. …Die Präzision und die Bandbreite des Chors scheinen nicht mehr zu übertreffen, werden es aber doch. 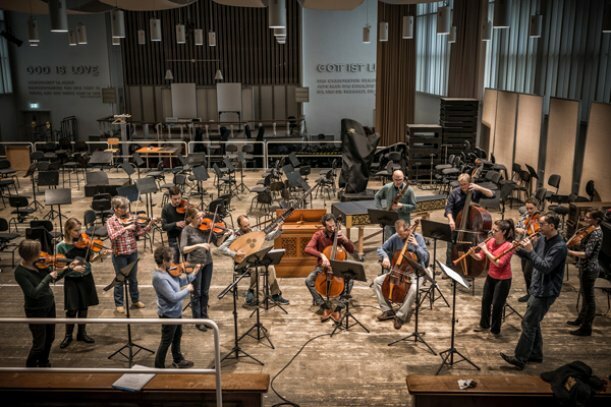 Und zwar von dem, was Giovanni Antonini und das Orchestra La Scintilla da im Orchestergraben des Hauses für Mozart aufführen. Straff, hart, schmissig: Oft nah dran an der Militärkapelle, wechseln die Zürcher binnen Augenblicken zu sanftesten Tönen, tänzeln, schwingen, schweben, weiten die oft als eindimensional gescholtene Welt der Bellini'schen Orchesterstimmen zu einem unendlich reichen, vielgestaltigen Chor, einem Kosmos der Emotionen. 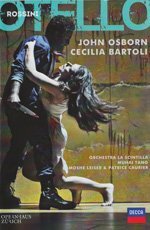 ... Dass sie sich mit Musikern umgibt, die den Druck nicht noch weiter erhöhen, kann man Cecilia Bartoli nachsehen. 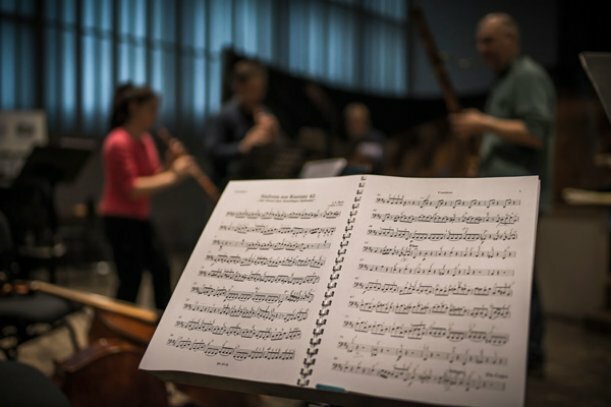 La Scintilla, das Alte-Musik-Ensemble der Oper Zürich, ist ein geschmeidiger, hingebungsvoll dienender Bühnenpartner. Er trägt Bartolis mezza voce bis ans Ende der Welt. 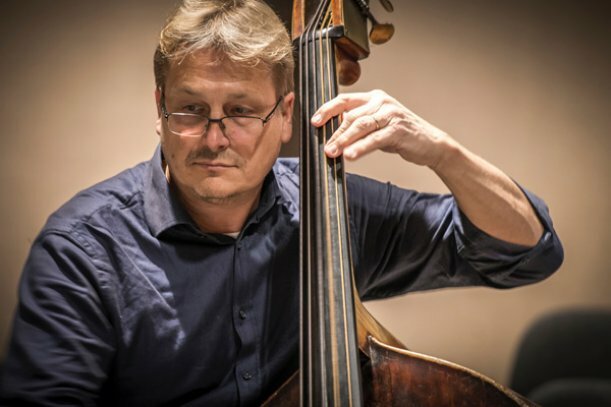 ... Exquisiter instrumentaler Partner war ihr das Orchester „ La Scintilla“ das jede Regung, jede dynamische Nuance hellwach und lustbetont nachvollzieht und abmischt. Nach alle dem: Grenzenloser Jubel. ... Ms. Bartoli was back at Carnegie Hall on Tuesday night, and so were her adoring fans. 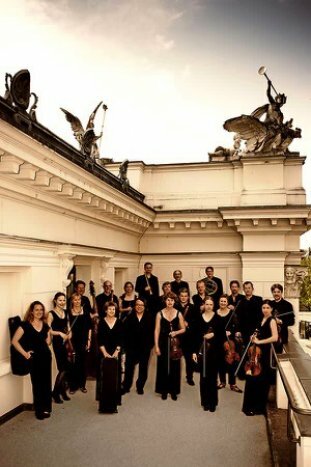 Joining her again was the Orchestra La Scintilla of Zurich Opera, a subgroup of excellent period-instrument players from that company’s house orchestra. 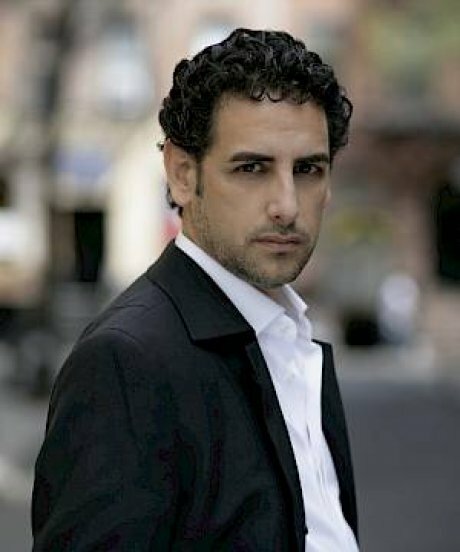 The program, “200 Years Maria Malibran,” was linked to another of Ms. Bartoli’s Decca recordings, “Maria,” released in 2007. 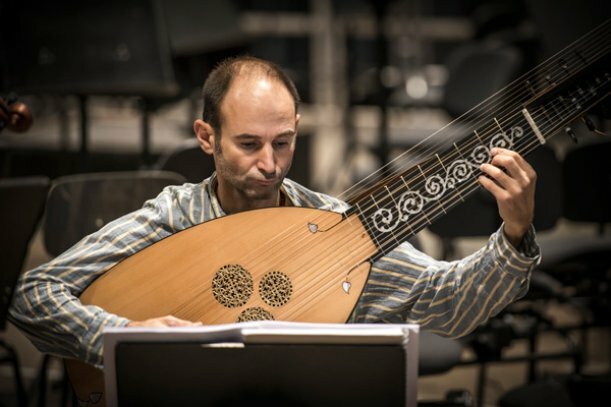 ... Der "Funke" ("La Scintilla"), wie sich das von Konzertmeisterin Ada Pesch geleitete Barockorchester aus Zürich genannt hat, sprang dabei auch in der Begleitung sofort über. Selten hört man ein so gutes Kammerorchester auf historischen Instrumenten. "Il trionfo del tempo e del disinganno"
...Zum Protagonisten wurde indessen auch das Orchester "La Scintilla", von dem Händel eine instrumentale Virtuosität sondergleichen verlangt und das von Minkowski zu einer hoch inspirierten, brillanten Leistung beflügelt wurde. Musikalisch ist dieser Abend ein Grossereignis. 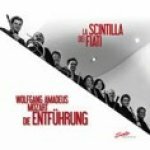 ... Das Kammerorchester „La Scintilla“ (Konzertmeisterin: Ada Pesch) lieferte nicht nur eine sensible und mit der Interpretation barocker Musik bestens vertraute Begleitung, sondern konnte in den Instrumentalstücken von Veracini, Porpora, Alessandro Scarlatti und Händel Akzente setzen. ... begleitet von Sturmböen und Eruptionen im Orchester ,,La Scintilla“. 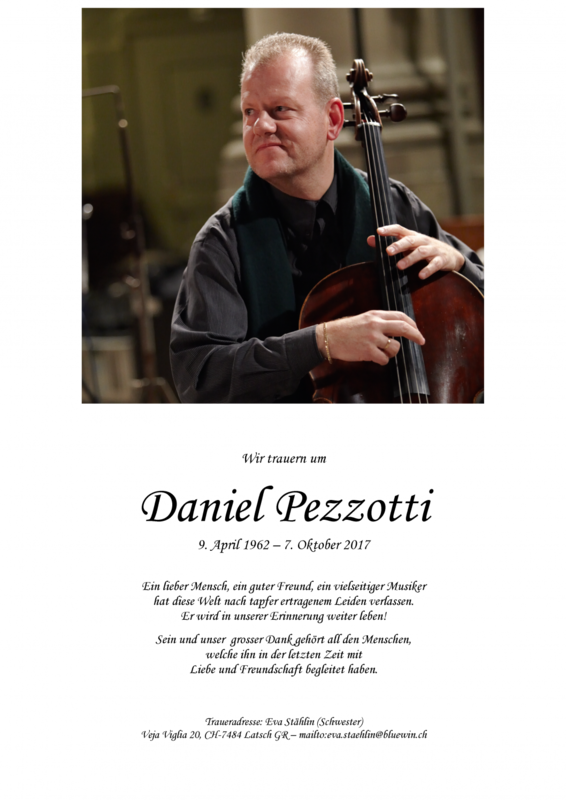 Die Instrumentalisten aus dem Zürcher Opernorchester mit ihrer Konzertmeisterin Ada Pesch sind ihre Traumpartner. Sie legen mit Finesse, Eleganz und einem hauchzarten Pianissimo einen Teppich. Klanglich opulent und unverdünnt verabreichen sie auch schärfere Essenzen. Zudem beherrschen sie im Flirt mit dem Stil das Showgeschäft. ... Und wie Marc Minkowski und das auf alte Musik spezialisierte Ensemble der Zürcher Oper - "La Scintilla" - das umsetzen konnten, grenzte an Hexerei. ...ala orquesta La Scintilla ha adquirido en poco tiempo un considerable dominio de la interpretación "auténtica". ... The orchestra seemed to savor playing the awkward bits of the score just as much as the more polished numbers; the result was a rich, textured sound that was vigouros and never flirted with the monotony that, with lesser musicians, can dampen long evenings of Barock music. Special mention must go to Ada Pesch, for her violin solos, and Luca Pianca, who provided truly lovely lute obbligatos. 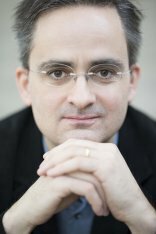 ..."La Scintilla" begeisterte durch die Prägnanz der vielen kleinen Musiknummern, durch kammermusikalische Prãsenz und durch die Fãhigkeit, den Klang auf reine Farbe zurückzunehmen um unversehens wieder volle Akkuratesse zu zeigen. 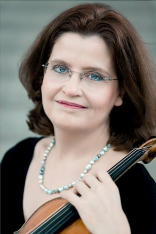 Ada Pesch has been principal concertmaster of the Zurich Opera House Orchestra since 1990. Born in Cleveland, Ohio, she began playing the violin at age six and subsequently went on to study with world-reknowned pedagog Josef Gingold at the University of Indiana. During this time she also performed in masterclasses with Arthur Grumiaux and Gyorgy Sebök. 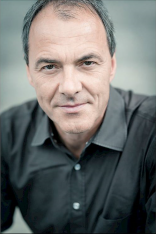 In 1984 Ada Pesch moved to Europe to become concertmaster with the Hof Symphony Orchestra, and in 1990 was named first concertmaster of the Orchestra of the Zürich Opera House, working with conductors such as Ricardo Chailly, Christoph von Dohnanyi, John Eliot Gardiner and Franz Welser-Möst. 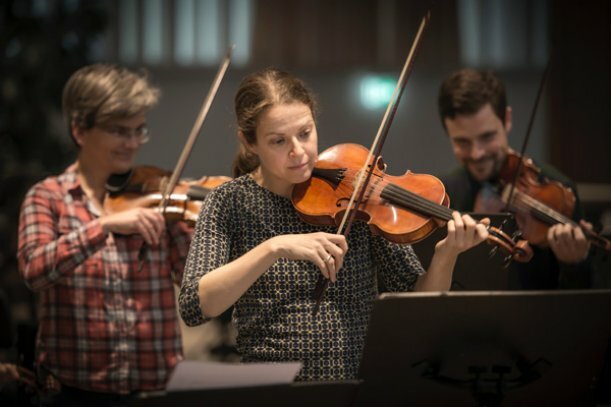 She is founding member and concertmaster of "Orchestra La Scintilla," the period-instrument ensemble of the Zürich Opera House with whom she regularly performs and records with early music pioneers including Nikolaus Harnoncourt, William Christie and Marc Minkowski. 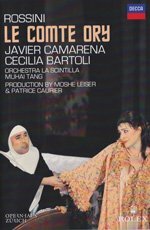 In fall of 2005 she led the "Orchestra La Scintilla of Zürich Opera" on a highly successful North American and european tour with Cecilia Bartoli. 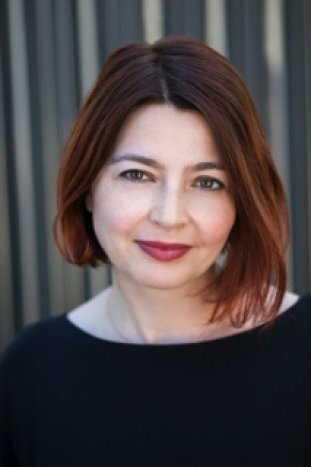 Ada Pesch has appeared as guest concertmaster with "Les Arts Florissants" (William Christie) and "Les Musiciens du Louvre" (Marc Minkowski) for concerts, live radio broadcasts and CD recordings. Her chamber music collaborations are many and varied, including projects with Cecilia Bartoli in Luzern and Salzburg Festivals. 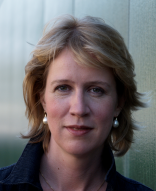 She is also director of the Baroque Music Festival in Ernen, Switzerland, which she founded in 2004. Hanna Weinmeister was born in Salzburg. 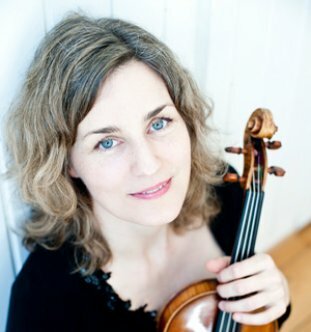 She studied the violin with Bruno Steinschaden in Salzburg, Gerhard Schulz in Vienna, Zachar Bron in Lübeck, and won prizes in numerous international competitions including the Salzburg International Mozart Competition (1994), Jacques Thibaud Competition (1995), and the Parkhouse Award in London (1995). 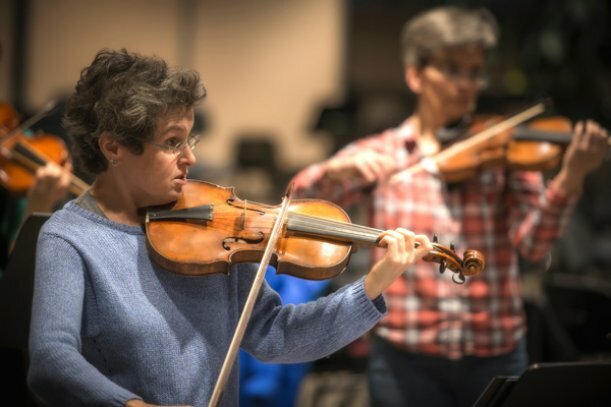 Following her studies, she was assistant leader of the English Chamber Orchestra in London, and has been first concertmaster at Zurich Opera House since 1998. Alongside orchestral playing, she is also in demand as a soloist and chamber musician, performing in Europe, Asia and the USA. A member of the Tetzlaff Quartet the Konzerthaus Octet, the Krenek Ensemble and the Trio Weinmeister, she has appeared as a guest at the Vienna Konzerthaus, the Salzburg Festival, the Ittinger Pfingstkonzerte, the Schwarzenberg Schubertiade, the Spannungen Festival in Heimbach, and the Weimar Kunstfest. CD recordings include Ernst Krenek's first violin concerto, Brahms's Double Concerto, and quartets by Sibelius, Alban Berg, Schoenberg and Fanny Mendelssohn. She is currently deeply occupied with the baroque violin and period performance, inspired by her work with Nikolaus Harnoncourt and Giovanni Antonini at Zurich Opera House. She has been a member of Orchestra La Scintilla since 2014. Monika Baer studied with Robert Zimansky at the Conservatoire de Musique in Geneva, from which she graduated with a soloist diploma. Her interest in the baroque violin already began in her student years, and she went on to pursue postgraduate study with John Holloway at the Hochschule für Musik in Dresden. 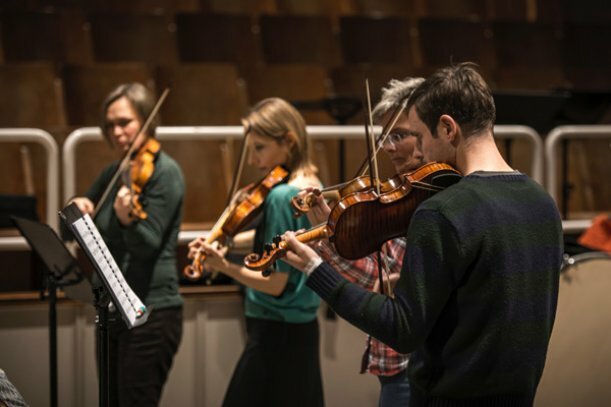 During years spent as an interim member of the first violin section in Zurich Opera Orchestra, she became familiar with the working practices of Nikolaus Harnoncourt, John Eliot Gardiner, William Christie and Marc Minkowski. From 1999-2005 Monika was concertmaster of Kammerorchester Basel. 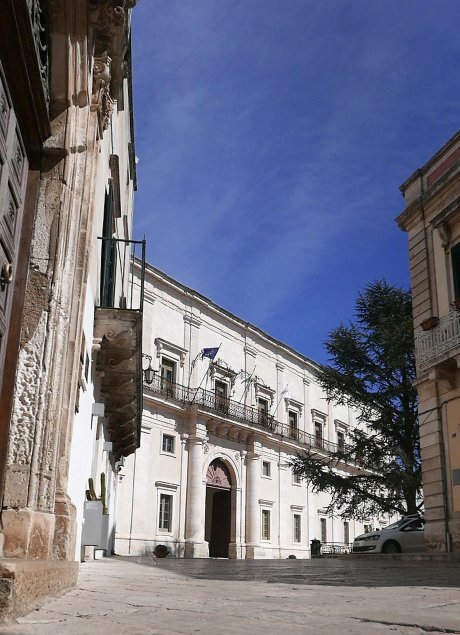 There she worked regularly with musical personalities like Christopher Hogwood, Giovanni Antonini and Giuliano Carmignola, and made numerous CD recordings. 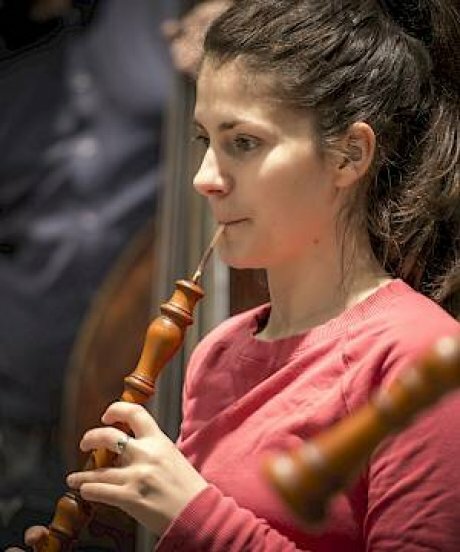 Alongside her active chamber music career, she performs in festivals including the Ludwigsburger Festspielen, the Erner Barockmusikwochen and Boswiler Sommer. As a founder member of Orchestra La Scintilla, she accompanies Cecilia Bartoli in Europe and America's most prestigious concert halls. 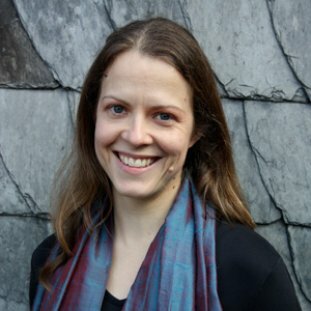 Monika lives in Zurich where she is a professor of baroque violin and chamber music at the Zürcher Hochschule der Künste. She is also in demand as a chamber music partner and concertmaster by various ensembles. 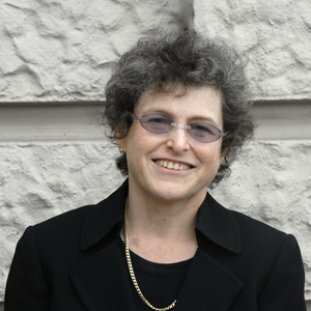 Furthermore, she spent 12 years on the Stadt Zurich Music Commission, was a committee member of the Forum Alte Musik Zürich, and appeared regularly as an expert on the radio programme Diskothek im 2 on SRF2.